A fascinating read, and a challenging topic. With billions (!) of cameras in cell phones, video cameras on motorcycle helmets, surveillance cameras in stores and street corners, cameras on the dashes of police cars and the lapels of policemen, it’s probably hard to go a day without having your photo taken, openly or surreptitiously. The article talks about wearable imaging technology, but the deeper issues center on privacy and security. I can protect myself by photographing the damage to my car, or videoing an altercation at the football match, but would I want to be photographed or videotaped without my consent? And what am I consenting to? What if the video ends up on YouTube? That I might post a dumb photo of myself on Instagram (and maybe sen images through Snapchat that are not so ephemeral afterall,) is one thing, but what about images containing me that others post, and share? Remember the Slate writer’s (in)famous claim that there were no photos of her daughter on the Internet, only to be proven wrong by those with nothing better to do? The world is a scary place, and we have to be careful, vigilant even. How we manage our own images is a challenge, only to know that these days those are probably outnumbered by the images that we appear in without our knowing, or consenting. Back to the old rule: if you wouldn’t want it to appear on the front page of the newspaper, then don’t say it, or do it! 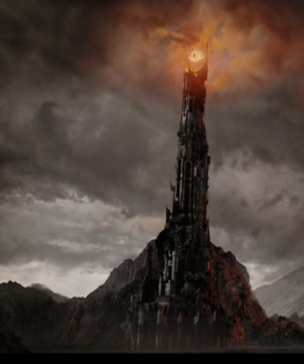 Image of Barad Dur from Wikipedia entry, LOR films.